I went to a semi-new restaurant last week and I was extremely happy with the atmosphere, the menu, and the food. That got me thinking.....what are your favorite joints? I know we had a similar discussion a long time ago about this but to be honest, some places I go the seafood just isn't as fresh or labeled correctly. A lot of places offer a "grouper" sandwich but only few actually serve real grouper.List your favorite fish related dinner joints and if there's a place you feel like you should warn the rest of us about, put it here! I despise a restaurant that tries to pass catfish as grouper. Although one of my favorite fish sandwiches is made by a deli here in south Tampa, the old sign on the wall still says "Grouper Po Boy" but its not, the owner of this place told me they started using Basa and let me tell you what- this is the greatest basa po boy you will ever find!!! !Mott and Hester Deli is the name of the joint and on Fridays I think its about bucks with chips and a drink. its a big sandwich!California Tacos on Bearss is another Joint that's incredible and they do have grouper there.The restaurant I went to last weak is called "Copperfish". Its awesome. the calamari app is good and the lobster roll was pretty damn good too for you northern guys! Clw beach - Frenchy's The original small one for Grouper sammich - Fried of Course - Frenchy's Saltwater Cafe down the street is pretty good tooDunedin - Jolimon's has good food and fresh seafoodDunedin - Cafe Alfresco - best crab cakes anywhere (including MD) - all their food is greatPalm Harbor - Thirsty Marlin - fresh seafood and also very good food across the board. Their Prime Rib Quesadillas are really good. I am so far south of all of you,but if you ever come down this way. We like Ceder Reef Fish Camp in Venice. They have this blacken redfish with black beans and rice for $10.00 on Sat. only. More on other days. If you like steamed crabs, Peace River resturant in Punta Gorda has the best. Also a lot of other really good seafood. Seafood is all they serve. It is were the waterman bring their catch in every day. They ship most seafood out. Here is my blacken redfish. pickgrin, if they look and taste like ours I need to know how to get there. PS. 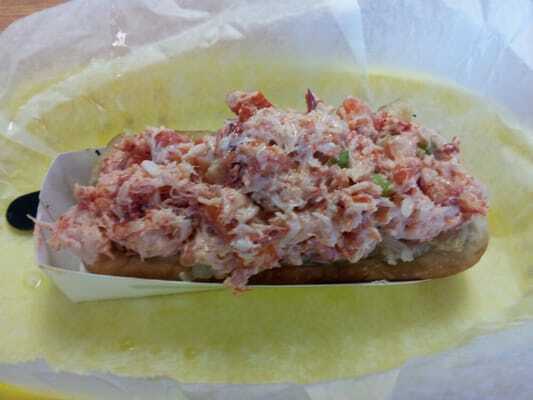 Notice all the lumps of crab meat in them. That's what is missing in in most resturants. If you know what I mean. Kinda OT, and I haven't actually been there, so the food may be great, but has anyone passed by the Kingfish Grill and Tap House on Ulmerton just east of Carrillon and thought "I'm not going there, the fish that they use as a logo is not a Kingfish?" Don't know why that bothers me so much, but it does. Does anybody know any good restaurants that will cook your catch in the St. Pete area? Boardwalk Grill at Johns Pass. Great food and atmosphere! If you want real Cuban food try Jose's Cuban Food in Bradenton on Cortez rd. Great Mom and Pop place ran by Jose himself. Small place with large portions that taste great! I live in Palm Harbor. I really like the thirsty marlin and Molly Goodheads. One of my favorite places to go though is Rusty Bellies at the end of the sponge docks. They bring out free hush puppies I instead of rolls and their shrimp po boy and cheese grits are amazing. Kinda OT' date=' and I haven't actually been there, so the food may be great, but has anyone passed by the Kingfish Grill and Tap House on Ulmerton just east of Carrillon and thought "I'm not going there, the fish that they use as a logo is not a Kingfish?" Don't know why that bothers me so much, but it does.[/quote']Haha. That's exactly what went through my mind too. Keegans Seafood grill - Indian rocks beach. 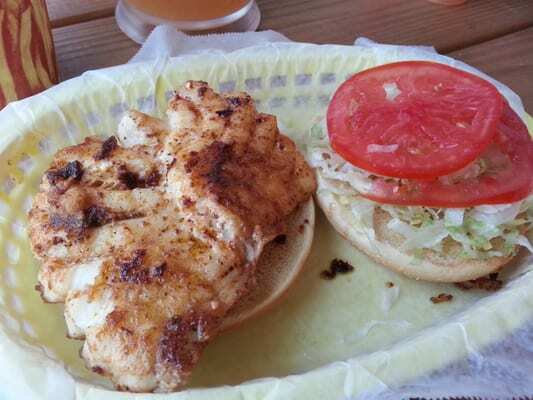 They always have different fish on the menu depending on what they can get and they have a great grouper sandwich although it is a little different than most people are used to.Fish House in Ruskin- They are only open Thursday , Friday, and Saturday. It's first come first serve with the smoked mullet and it usually runs out pretty quick. 90% of the time a local crabber brings them soft shell crabs and they are the best in the bay. The rest of the time they get them from a vending company. Madfish St. Pete Beach- Doug gets all his fish fresh and the menu is always changing with specials depending on what they can get. Don't let the old Airstream looking trailer fool you the food is top notch. Waltz at johns pass, hidden away in a little house looking building across the street from the boardwalk. By far the best seafood around imho. Small place, don't bring kids, and don't bring people that don't like seafood. Because it is all they haveWahoos on redington is great too. Much diff atmosphere...more of a beach bar feel. Both places have grouper straight from the docks. Where is the Bradenton restaurant? I'd like to try it! =))) that looks amazing Andy!